Fr. Fabius embraces you with blessings and greetings for the new year. You may recall reading “A Ugandan Experience” last October detailing my stay with Fr. Fabius. Challenges identified was building a temporary kitchen and providing adequate food for the children of Pere Achte Pre-School and Primary School. These goals have been achieved! The temporary kitchen has been built and the children received a daytime meal of maize porridge for the 3rd Term (Sept – early Dec) 2018. This is an amazing achievement (on your part) reflecting not only a caring community, but one that is excited about been involved and emotionally connected in making peoples’ lives better. If you wish to donate to this worthy cause, contact the parish office. No amount is too small! The clothes, monies, and laptops which you very kindly donated and entrusted me with arrived safely in Uganda and given to Fr. Fabius. As he opened the suitcases revealing the contents all he could say was WOW….WOW………..he was lost for words, and visibly moved. He couldn’t believe the tremendous generosity of people. On Wednesday 23rd September a group of 55 St Kevin’s parishioners and friends, joined Fr Martin on a long day outing to Canberra. 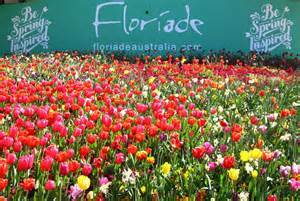 Travelling on a luxurious Murray’s bus, the group braved the cold Canberra winds and thoroughly enjoyed the beauty of Floriade, and the amazing displays at the Australian War Memorial. Join the St Kevin’s Eastwood Youth Network! No Program will be offered for the Sacrament of Reconciliation in 2017. Our next program will be offered in 2018 to children who have been baptised and are in Yr 3 or above. On Tuesday 16th September a group of 40 parishioners and friends travelled to the Opera House to see the King & I. On a beautiful Sydney day, we were amazed by the magnificent sets and costumes, and enjoyed the great singing and music.